because my husband is the president of a furniture company, I get a lot of home decor fabric samples. Some of these seem like they could be sturdy enough for a corset. 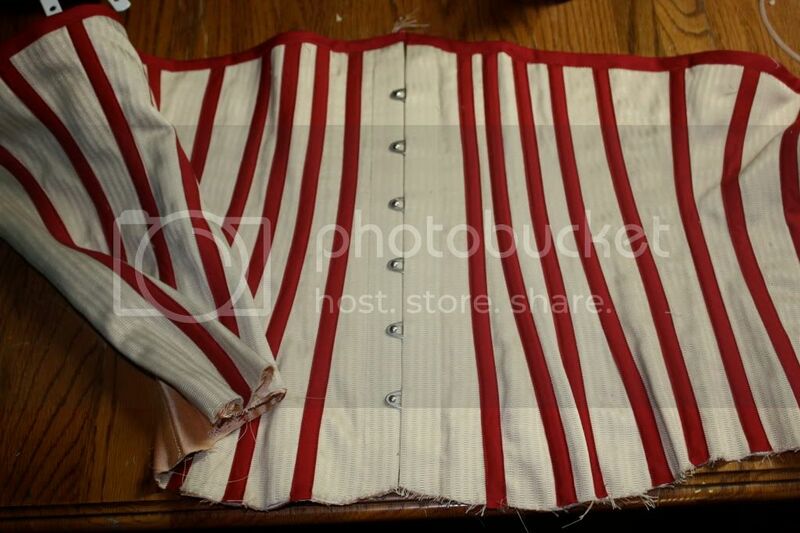 I need to make the Edwardian Corset fairly quickly and I was thinking of maybe giving one of these a shot. It would depend on the fabric, but if you have a firm weave that is not overly bulky, I don't see a problem. Though personally, if you can find a canvas type fabric, that would be fine too. I've done two corsets (cotton lined plum and silk lined ivory) in a 50/50 poly cotton home dec fabric from JoAnn's, both of the same fabric but different colors. They both work very well. Hi, good to know that your husband is in the furniture company, could you please let me know if he his company make customized furniture and deliver in Australia? Buy 6ixty Furniture online Australia!